UPDATE: The giveaway has ended. Thanks for joining in, everyone! Hey everyone! Welcome to NintendoSoup’s second giveaway! 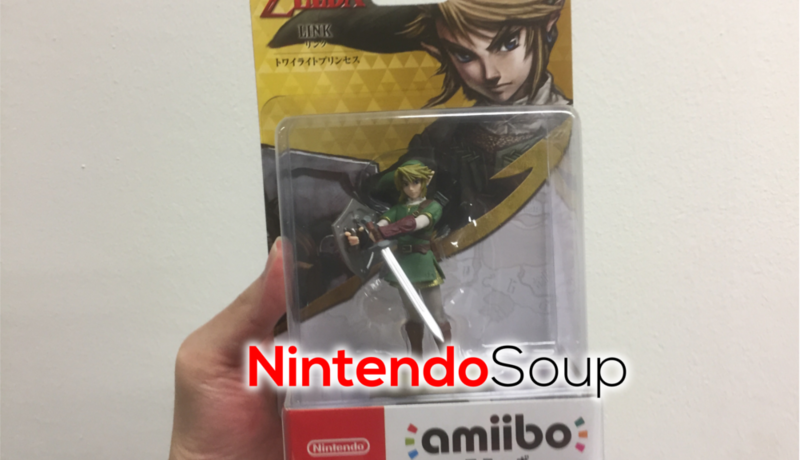 This month we’re giving away a brand new Twilight Princess Link amiibo, which may be pretty hard to find depending on where you live. The Twilight Princess Link amiibo is compatible with The Legend of Zelda: Breath of the Wild. When used in the world of Hyrule, legendary horse Epona is summoned into the game. It’s also one of the only ways to unlock the Cap of Twilight, Trousers of Twilight, and Tunic of Twilight. There are two ways to enter this giveaway – Facebook and Twitter. If you would like to increase your chances of winning, you can enter in both! The giveaway ends on August 2, 2017 at 9:00am Pacific Time. Also, this giveaway is open to everyone around the world, as we’ll ship the prize to the winner (we’ll take care of shipping charges). We will announce the lucky winner by August 3rd.